_ Welcome to Dave's galleries, which are organized by subject matter. Use the drop-down menu under "Galleries" to visit each theme. Dave’s papercuttings are unique, one-of-a-kind artworks, or—when he cuts two sheets of paper simultaneously—one of only two. 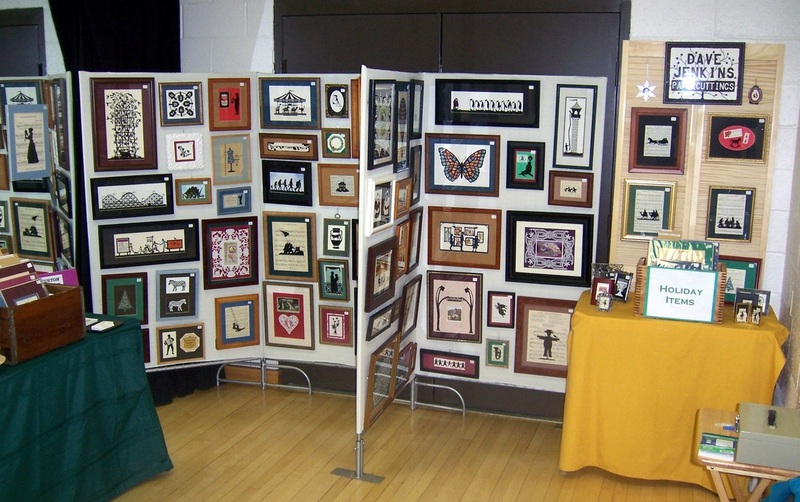 If Dave re-creates a papercutting, he generally changes several of the elements before re-cutting so that each piece/pair remains unique. All papercuttings are framed, and the prices reflect that. Dimensions provided are internal frame measurements. If a particular papercutting has been sold, Dave could make a similar one upon request. To purchase a cutting, please go to the Contact page. All Papercuttings Copyright 2000-2019 David B. Jenkins. Images may not be reproduced without permission.